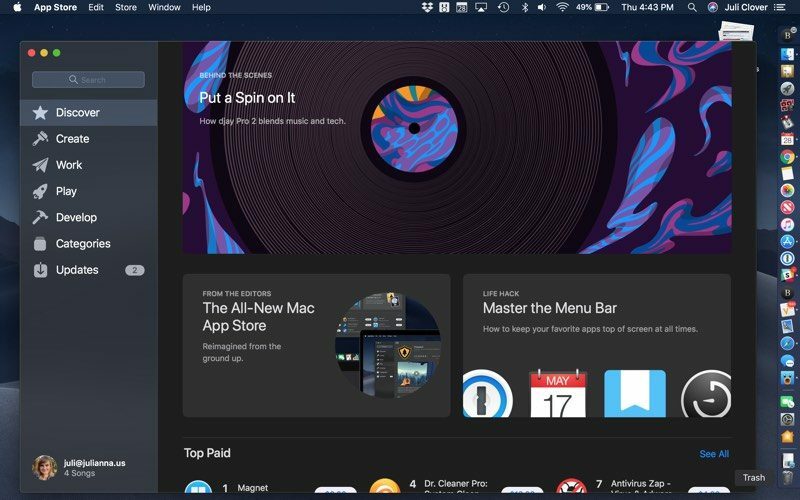 Note: When Dark Mode is activated, the current Dynamic Desktop option that displays the Mojave desert does not work. It shows the desert at night full time when Dark Mode is turned on. Making the transition from headphone to in-ear monitors can sometimes be rather difficult. Especially if you are a DJ. Here are a few tips on how you can make a smooth transition into the wonderful world of wireless systems and in-ear monitors! The step to buy iems online is the most important part of your transition from headphones to IEMs. For example, are you a singer that needs to move around a lot on stage? Or are you a drummer or pianist that stays in one spot during the whole performance? If you are a drummer or a pianist, you may want to consider saving money and going for a wired IEM set up. If you are singer and you move around a lot on stage, you may want to consider getting custom made, wireless IEMS. The reality is, yes – IEMs are wonderful because they give you much more freedom and mobility on stage. If you don’t get IEMs that are custom made – you are more at risk of them falling out on stage. So, in my opinion – it’s worth it to spend the extra buck to ensure you have quality, custom fit IEMs that are comfortable to wear on stage. If you get a pair that aren’t comfortable, you may not perform as well as you would like to. Another thing to remember is that if you are a DJ, it is kind of silly to spend the extra money to get a wireless IEM setup, since you always have all of your equipment right there. But, an important thing to keep in mind’s to make sure the cable running from you IEM to your mixer is still long enough for you to move and dance around. If you get one that is too short, you will be super constricted on movement. And let’s be honest, being a DJ isn’t nearly as fun when you can’t move and dance around. Especially if you are a DJ, transitioning to IEMs can be a weird transition. If they don’t fit right, IEMS won’t be nearly as comfortable as the over-ear, memory foam cushioned headphones DJs are used to having. But, overtime, even if you have non-custom made IEMs, they’ll become comfortable over time. The best part about wearing IEMs while DJing is their noise isolation technology. Which will make performing at even the loudest concerts, festivals, or nightclubs easy on your ears. If you are a performer, moving around on stage while wearing IEMs will take some getting used to. If you don’t have custom made ones, they can easily fall out if you move around a lot. Eventually, you’ll break them in and you’ll be able to move about on stage without issues! A common mistake that people make when they first start wearing IEMs is that they will only wear one IEM in while performing so that they can hear how things are sounding on the loudspeakers. Instead of removing one IEM to hear the house speakers, you can simply use your mixer (or DJ controller fader knob) to control the blend between the track that is playing in your main output to your liking! This way, you won’t have to remove your IEMS the whole entire set. This is an amazing advantage because your monitoring will be even more accurate during your time on stage. The only disadvantage to having both IEMs in your ears is that you won’t be able to hear how you sound the same way the crowd does, which can be weird getting used to at first! If you are in a band or if you are a musician, IEMs are your biggest disadvantage when it comes to hearing your audience, which makes it much harder to connect with them and hear feedback. But, this problem can be easily solved by setting up an extra microphone and facing it towards the audience. Then, you plug that microphone into the mixer so that each band member can pick up on the crowds energy through the in-ear monitors. Practice really does make perfect, especially when it comes to performing with IEMs. Once you get the basics down of how to set them up, how to control them during a live performance, and how to wear them comfortably – you will be able to enjoy the beauty of them! In-ear monitors are much safer and all around better to wear on stage than headphones. In-ear monitors keep your ears safe, which is important for all performers to prioritize if they intend on performing for a long time. To practice, wear them in your bedroom, around your house, to small gigs and big ones. By practicing a lot, you get in the habit of using them and it will make your transition as smooth as can be. IEMs are an amazing advancement of technology in the audio world. This innovation alone has completely revolutionized the live performance industry, and it only gets better from here! If you are ready to ditch your headphones for a modern IEM system, make sure you do plenty of research before picking out the right system for you! Consider whether or not you would like a wired or wireless setup. Or, if you have enough room in the budget, splurge on some custom made ones for maximum comfort and freedom on stage. The BlackBerry KEY2 is in a market with no competitors — but is that enough to make it sell? It’s the only modern smartphone with a hardware keyboard, but I’m not sure that’s enough. I’ve been using my BlackBerry KEY2 for about a week and a half now, and I haven’t been doing so begrudgingly or out of any sort of obligation — I’ve continued to carry it by choice. I’m not here to talk about my personal takes on the KEY2 as a device — that’ll come later in a specific review, and Daniel wrote up a brilliant full review of the phone already that I recommend you read. But I want to keep using the KEY2 so I can try to wrap my head around just how big the potential market is for this phone; for a smartphone with a hardware keyboard in 2018. In a world of increasingly homogeneous smartphone designs and feature sets, we often talk about markets segmented by price, retail availability and size. Phones have some differentiations, but with lots of feature and spec overlap, price and availability become defining factors when people are making a buying decision. Seldom do phones differentate themselves with a single feature or design choice to the point where it has no other direct competition. 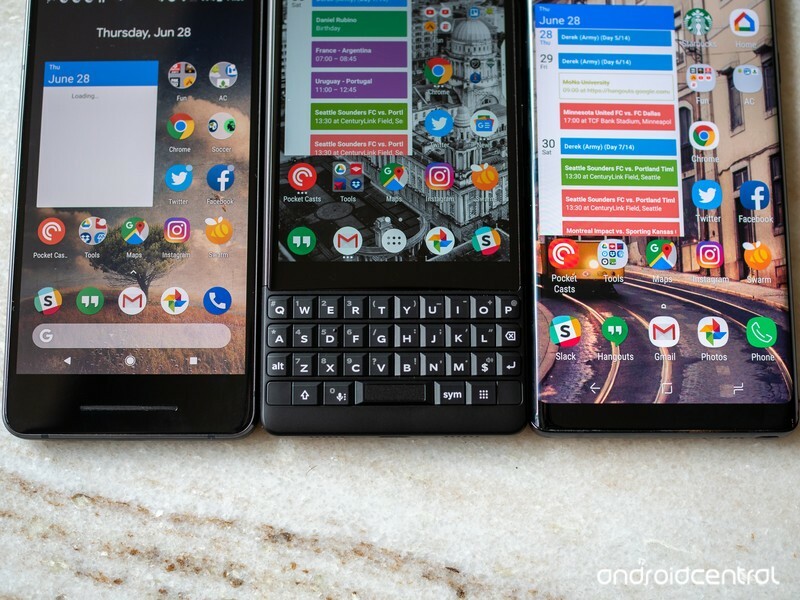 Yes, there are certain features that weigh more heavily for some consumers than others, like a headphone jack or camera feature, but those aren’t strong enough to keep a single phone completely separate and unable to be compared to others in the way the KEY2’s keyboard does. We know the KEY2 isn’t perfect — its screen, cameras and speaker leave much to be desired. But at the same time, it almost doesn’t matter, so long as these downsides are still in “good enough” territory, because the KEY2 appeals to a single market: people who want a hardware keyboard. The question people following the smartphone world have is, just how many people out there are willing to make a smartphone buying decision based purely on having that hardware keyboard? There’s little doubt that some people want a smartphone with a hardware keyboard. There’s the nostalgia factor, of course, harkening back to a decade ago when people loved their BlackBerry. But there are also some people who stuck with the increasingly rare hardware keyboard devices up until a couple years ago. They legitimately prefer the tactile feel of keys to tapping on glass, even if they inherently know that it isn’t quite as fast or versatile as a full touch screen device. There are people out there for whom a hardware keyboard is the best way to use a smartphone. The KEY2 is truly unique, but is that a selling point or a sign that it’s the only product in a nonexistent market? TCL won’t break out any sort of sales figures, but it’s a safe assumption to say that the KEYone didn’t sell in amazing volume. Even with various different color versions, RAM bumps and worldwide availability, it didn’t sell well enough for the company to make any noise about the numbers. You could argue that was because of the phone’s myriad issues and not the existence of a hardware keyboard … but it seems to me it’s simply due to the market for hardware keyboarded smartphones being downright tiny nowadays. And the KEY2 isn’t going to change that, considering it’s just a much-improved KEYone rather than an altogether new take on the form factor. The KEY2’s keyboard works quite well. In a typing test, I’m roughly as fast with it as I am typing at an on-screen keyboard. And that keypad offers a lot of extra features that BlackBerry should be touting more than it does. 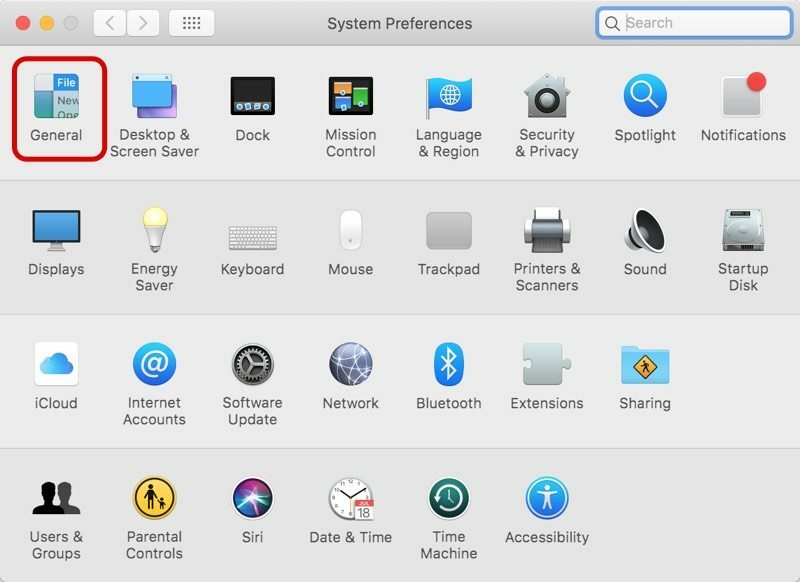 But it’s still a relic of the past — an antiquated input method that most people gave up on 5 years ago, if not a decade. Only TCL knows the KEY2 sales figure that’s considered a “success,” and I hope the company is pragmatic enough to not expect it to sell in the double-digit millions per year. 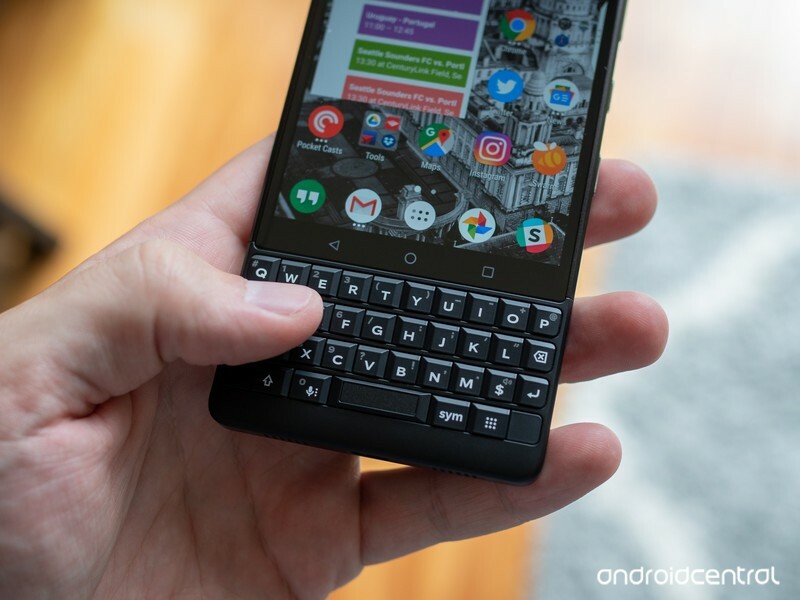 It stands to reason that the KEY2 will have to sell much better than the KEYone did to justify continuing to develop this hardware keyboard product line, though, and I’m just not sure it can. Even when it’s a phone available in a market with no competitors. LG’s new flagship is rarely exciting, but look past that and you’ll find a great little phone with an audiovisual focus. The G7 may be a tough sell at its $750 launch price, but there’s not much to complain about here. 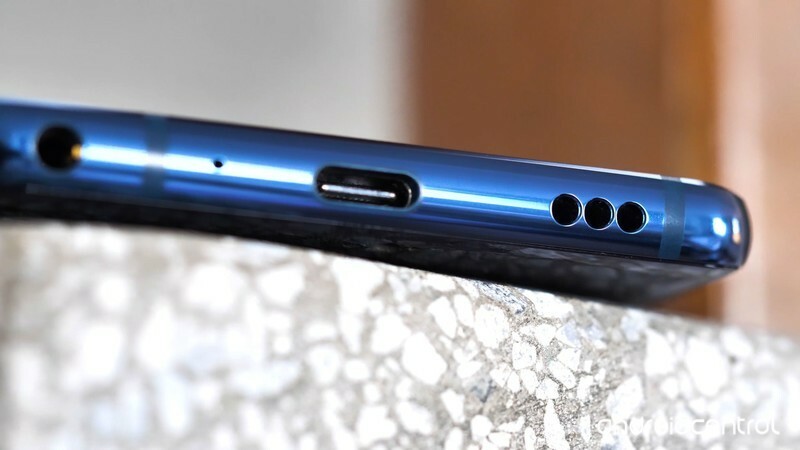 The new LG flagship gets most of the fundamentals right, and offers stand-out features in the form of a Quad DAC-powered headphone jack, and the best wide-angle camera. Bottom line: This isn’t the most exciting Android around, but LG is still the only place to get a good wide-angle camera and the best in smartphone audio. 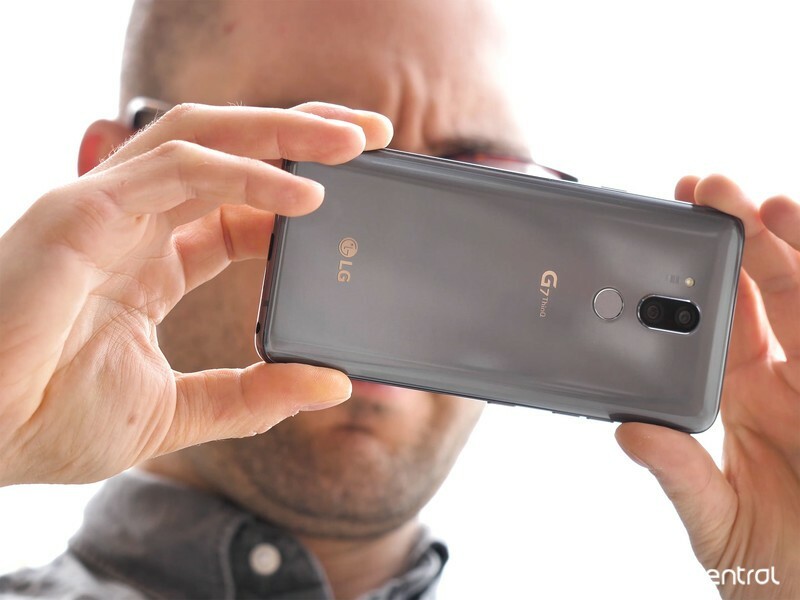 6/128GB model unavailable in the U.S.
Back in January I didn’t expect to be reviewing an LG G7 this year. The phone was supposed to be dead, killed off by a change in top-level management at the Korean firm. 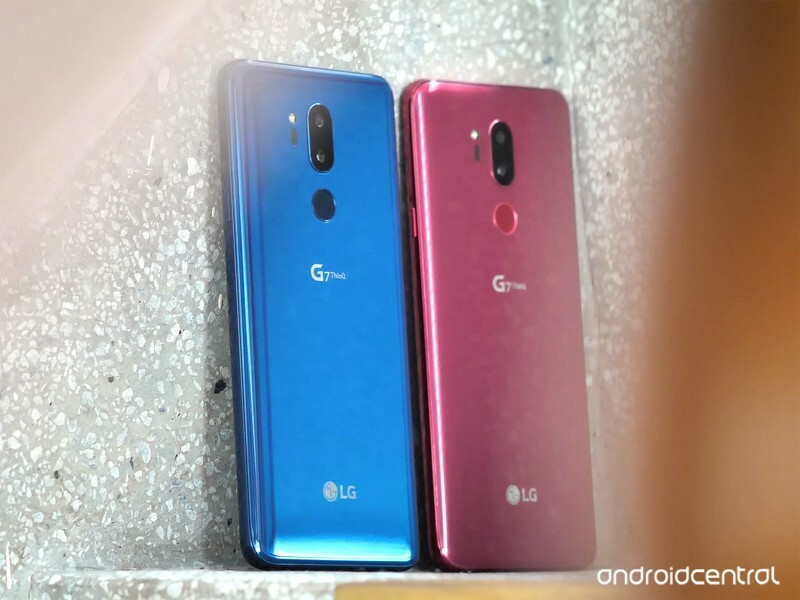 In the following months, it became clear that LG was instead giving the G7 a final spit-polish before unveiling it to the world. Who knows what the G7 would’ve looked like had LG stuck to its original timeline and launched around Mobile World Congress in February. But as for the product we have today, I’m glad LG took its time, and I’m glad it didn’t just abandon the G7, as was originally rumored. This is a decent, competitive phone that deserves to exist. In typical LG style, it’s way overpriced at launch. We’re publishing this review after just over a week with a final, retail-ready LG G7 ThinQ. 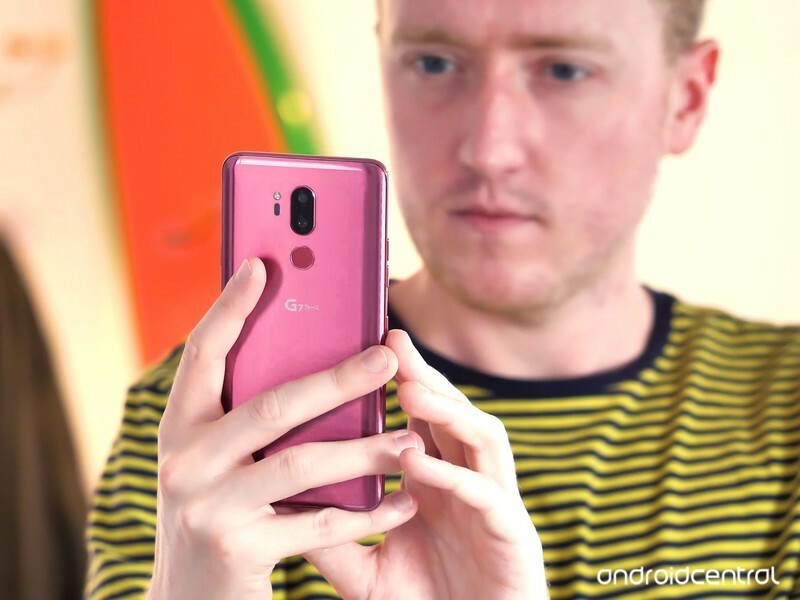 I (Alex Dobie) have been using an SKT-branded Korean G7 (LG-G710N) with 4GB of RAM and 64GB of storage on the Chunghwa Telecom network in Taipei, Taiwan. The device was running software version 10N. In the run up to the G7’s retail release, I had also been using a pre-production U.S. model G7 running uncertified firmware. This review is based on the final G7, not the pre-production unit. The biggest difference I’ve noticed going from the early G7 to the production model is a significant bump in battery life. Externally, the G7 is not a phone that rocks the boat. Design-wise, LG’s new handset plays it relatively safe, with an aesthetic combining the characteristics of the V30 and G6 (OK, and maybe a certain other phone as well). It’s a far cry from the old, crazy LG, which would flail from leather-backed plastic one year to modular nonsense the next. LG’s newfound design sobriety has been mostly a positive step. The G6 and V30 were both good, solid phones without any serious flaws, and the same applies to the G7. The new problem for LG is how to stand out when it’s producing this kind of phone, because absolutely everyone is producing this kind of phone. LG’s design sobriety continues, as the company pushes audio and AI in the G7. LG’s answer is to ship an impressive wide-angle camera, a headphone jack powered by a beastly Quad DAC, and a roaring boombox speaker system. And because this is a ThinQ phone (pronounce it “thin cue,” not “think”), there’s an Artificial Intelligence angle as well. But you can probably forget about the AI gimmickry, which expands the AI shooting modes first seen in the V30 S and builds out a few tepid predictive features elsewhere in the software. You’ll see the cringey ThinQ brand every time you turn the G7 over, but I’ve largely ignored it related features in my use of the phone. Instead of getting high on AI, I’ve been enjoying the G7 because it gives me a small-ish phone with great audio and a wide-angle camera experience I can’t get anywhere else. The size is perfect for one-handed use, and the sharp chamfers and thicker sides make for an easier grip than a similarly-sized Samsung phone. LG’s color options are a little dull, but at least there’s some variety to be seen in the G7 palette. There are boring black and grey versions, but I’ve spent most time with the moroccan blue and raspberry rose hues, which add a splash of color while still looking reserved compared to a flame red HTC U12+ or twilight Huawei P20. The back has a subtle lustrous effect that gives the red G7 an amber-like accent, and introduces hints of green to the blue G7 when it catches the light. The rear of the phone lacks any kind of oleophobic coating, however, which makes it easier to grip at the cost of being a fingerprint magnet. The aluminum side walls have a similar gloss to them, but aren’t anywhere near as greasy. The G7’s super-bright display is a bigger deal than its use of a screen notch. Either way, I’ve come across no major compatibility issues around the notch, and I appreciate the extra vertical space provided by LG’s super-tall 19.5:9 panel. This screen is a major improvement upon the G6’s LCD in just about every way. It’s an RGBW panel, with an extra white subpixel for extra brightness, in addition to the red, green and blue subpixels that all normal LCDs have, for extra brightness. The backlight can go all the way up to 1000 nits in its boosted brightness mode, but weirdly you need to enable this manually, it won’t trigger by itself in very bright daylight like it does on Samsung phones. The rest of the spec sheet is standard 2018 flagship stuff, with a Snapdragon 845 processor plus 4GB of RAM and 64GB of storage in most markets, plus microSD. And it’s water resistant too, rated IP68. The one thing that might jump out at you is the 3,000mAh battery, which numerically is on the low side compared to the competition. Quick side note: Before getting a final, retail G7, LG gave us a pre-production device to play with, running pre-release software. This preview device had pretty bad battery life, and I didn’t expect a huge difference in the retail version. But I was wrong. The production G7 manages fantastic longevity from a relatively small battery. I’d regularly get around 17-18 hours per charge, with 4.5-5 hours of screen-on time. That’s more than I reliably get from the Galaxy S9+, and not far off the Pixel 2 XL. Plus you get Quick Charge 4 support — though the bundled plug only does Quick Charge 3. For easier opportunistic top-ups, LG, finally, includes Qi wireless charging in all G7 models. 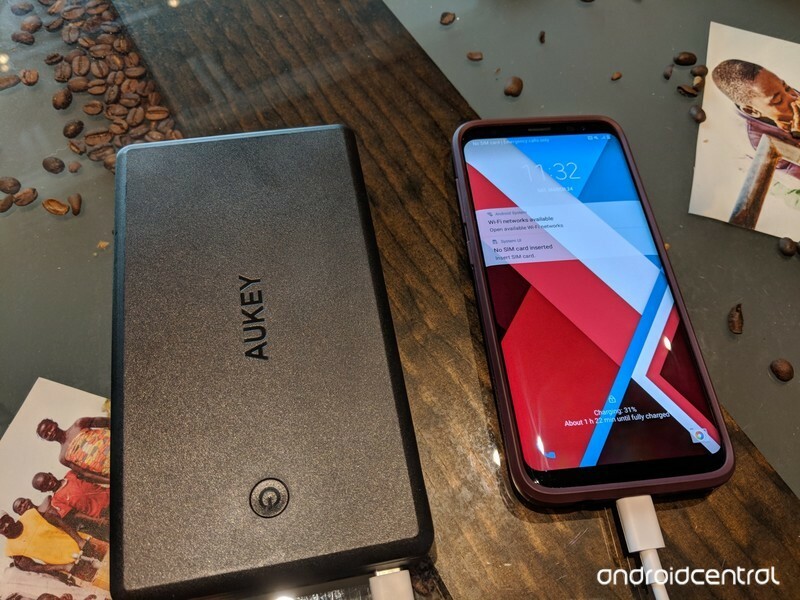 Bottom line between the pretty strong battery life and plentiful refill options, is that’ve never had to worry about battery life on this phone. This is with normal use involving music streaming and photography, not babying the phone. Many high-end phones boast powerful speakers, but the G7 far exceeds the baseline, bringing features that’ll please audiophiles — as well as the rest of us, who just want our their music to sound great, and our podcasts loud and clear. In short, the G7 is the most audio-centric Android flagship I’ve used. The fact that there’s still a headphone jack at all is noteworthy, but LG also includes its Quad DAC, which we’ve seen in a few generations of LG phones now, to put more power behind the headphone port. This is the best speaker setup in any smartphone. What’s new this time around is that same engineering attention has been given to the G7’s built-in speaker system. The new boombox setup is the loudest and best-sounding smartphone speaker I’ve used, with sound that’s full and bassy and not just loud and scratchy like most phones. The magic behind the G7 speaker’s legendary audio is that it uses the entire body of the phone has a speaker chamber. At higher volume levels you can really feel the glass back vibrating, which in turn lets you amplify the audio even further if it’s sat on any other acoustic structure, like a guitar or a wooden box. I sometimes take a small Bluetooth speaker with me when I travel for podcasts and the like, but with the G7, I really don’t need to. The audio from the main speaker is loud, bassy and clear enough for my needs, and comfortably superior to any competing phone speaker. For wired audio, the Quad DAC hasn’t changed since we last saw it in the V30, but it’s worth revisiting briefly. In short, the DAC provides a stronger signal to any headphone or speaker system that’s plugged into the phone. Combined with a good set of studio headphones, or even the pretty great set of earbuds LG includes in the box, it’s the sort of thing that can ruin you for music on most other phones. What’s more, LG’s software provides a wealth of fine-tuning possibilities to get things sounding just right. The rest of LG’s software hasn’t been radically changed in this iteration. It looks a little different to the company’s 2017 loadout, but if you were hoping for the LG UI to be overhauled, then you’ll be disappointed. Mainly we’re looking at visual tweaks to make the icons more uniform, as well as some new widgets that look a bit like what you’ll find on a Samsung phone. It’s customized, with its own distinctive look, but not too overbearing. 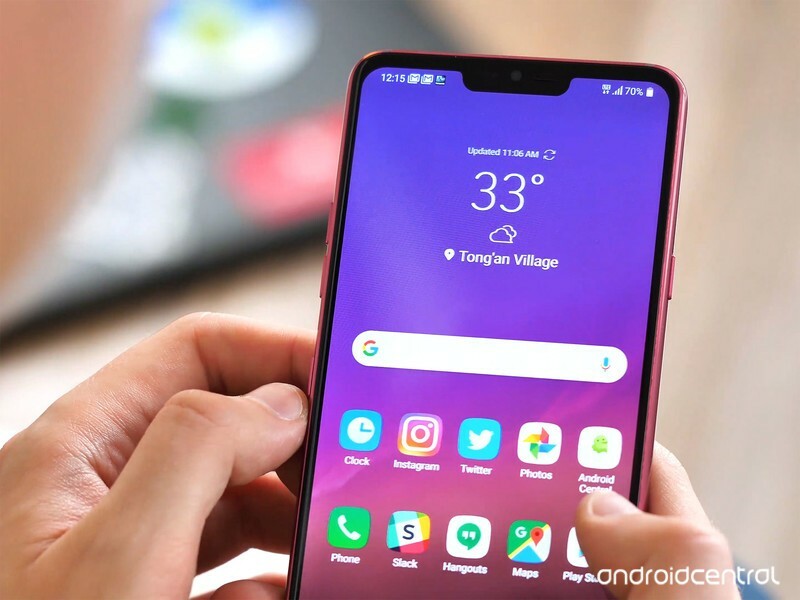 Staple LG features return, including KnockOn to quickly wake the device with a double-tap, as well as the reliable face unlock features from the V30. I have no real issues with the aesthetics of LG’s software, and while it would’ve been nice to see Android 8.1 on here as opposed to the older 8.0, it’s not the end of the world. Performance has been fine overall. 4GB of RAM mostly gets the job done, though I would’ve preferred the extra breathing room that 6GB provides for multitasking. While it wasn’t enormously bothersome, it definitely is possible to see apps being bumped out of memory more quickly on a 4GB device like the G6, compared to Samsung and HTC phones with the extra two gigs. I’m more concerned about a few smaller usability issues I’ve run into. With a phone this tall, reaching the top to pull down the notification shade can be tricky. Yet the very common swipe-down gesture on the fingerprint scanner, used by many other Android phones, isn’t supported. At the same time, LG’s mini view one-handed mode is unreliable and clunky, with the swipe gesture sometimes failing to register. Aside from AI CAM, the G7’s artificial intelligence tricks are dull and forgettable. 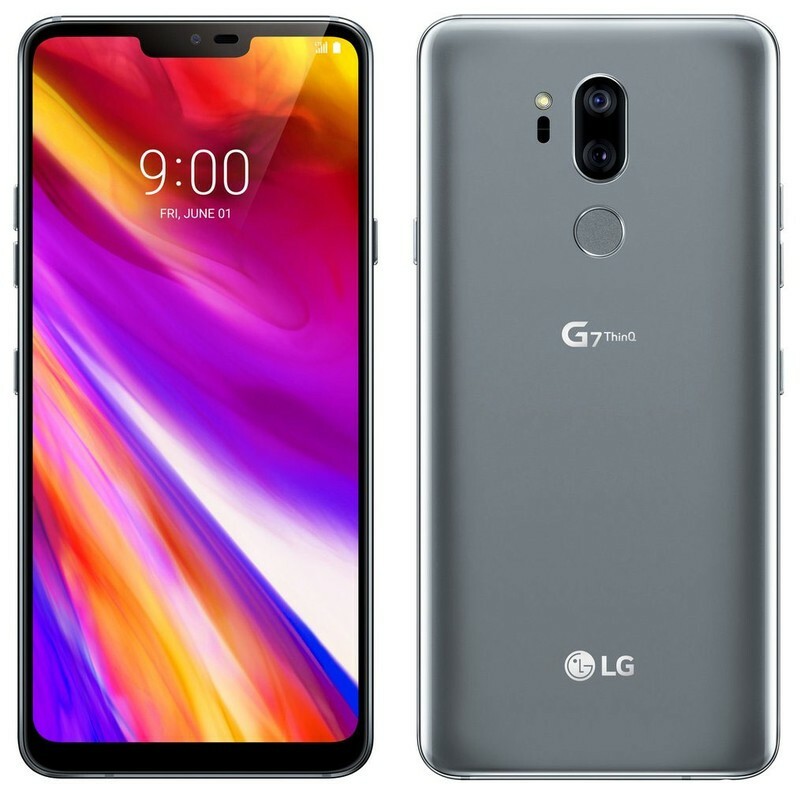 Because this is a ThinQ phone, LG has gone to great lengths to build out AI features in the software. Plus you’ve got the Smart ThinQ app preloaded for any other LG ThinQ appliances you might own. But outside of the camera, most of the AI stuff is half-baked and uninteresting. The “Smart Bulletin” area to the left of the main home panel is mostly useless, and simple re-frames automation features many of which have been been around the LG G3 in 2014. The things it suggests are rarely useful, and fail to justify its occupation of this premium piece of smartphone real estate. We do at least have a Google Assistant key, though, which is more useful and less annoying than Samsung’s Bixby key — because it’s located further away from the volume rocker, and of course because it launches Google Assistant and not Bixby. A single tap launches Assistant, or you can hold it down for a walkie-talkie mode. 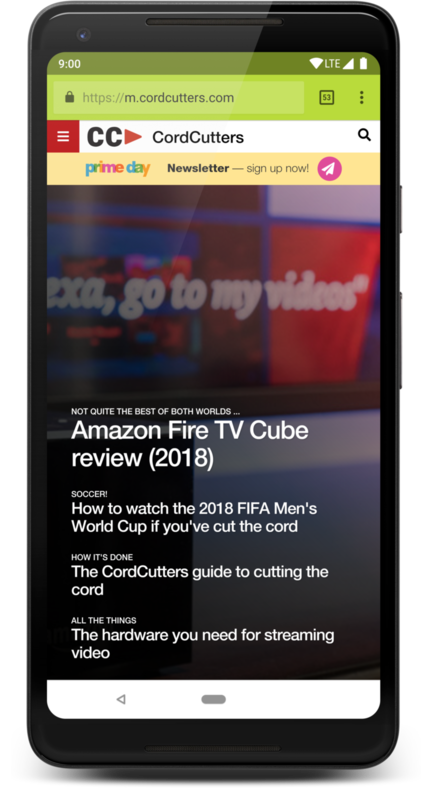 And double-tap launches you into Google Lens. Unfortunately, though, Lens is often slower to launch and more buggy on the G7 than it is on the Pixel 2 XL, despite the faster processor. I’ve had several instances of Lens either getting bogged down while loading, or loading and failing to activate the camera properly. The Assistant key isn’t a huge deal either way. It’s moderately useful, but I don’t miss it when I use other phones. While you can disable it, it’s annoying that you can’t remap it to serve another function, like a dedicated camera key. The camera setup of the LG G7 is an odd half-step upgrade from last year’s V30 cameras. The front camera and wide-angle cameras have both gotten much-needed upgrades, and that’s great. The main camera has not, and that’s a big competitive disadvantage for this phone. Around the back the G7 sticks with the same main camera as the V30, a 16-megapixel sensor with 1-micron pixels, behind an f/1.6 lens, with optical stabilization. The wide camera this time is that same 16-megapixel sensor, Sony’s IMX 351, behind an f/1.9 lens, but with no OIS. The wide-angle camera has been reduced to 107 degrees though, down from the V30’s 120. In my view, though, that’s a fair trade-off considering the improvement in image quality from the new wide camera. The upgraded wide-angle camera impresses, but the main sensor needs an upgrade. On the other hand, the main camera clearly hasn’t kept pace with the competition. It’s not a bad camera, just a decidedly mediocre one, considering this is a $750 phone. Even with the faster Snapdragon 845 processor, the main shooter can’t compete with the likes of the Galaxy S9, Huawei P20 or Pixel 2. Dynamic range isn’t as good as these phones, nor is low-light photography, even with LG’s new Super Bright Mode. Super Bright Mode, first seen in the V30 S, uses pixel binning to get a brighter 4-megapixel image out of the 16-megapixel sensor. It’s the same technique used to awesome effect in the Huawei P20 Pro, but the difference is Huawei uses a 40MP sensor LG’s 16MP doesn’t have the resolution to make this work well. The result, often, is a lower-res image that looks OK on a phone screen, but gross and blotchy once you zoom in. The G7 inherits the V30 S’s AI shooting modes, which I’ve enjoyed more through playing with the neat little word cloud that pops up in use than through the photos it takes. I assume LG’s AI is doing something to tune photos according to where I am and what I’m shooting. But more often than not, pics taken in AI CAM mode just look different, and not necessarily better. Plus, scrolling through the many AI-inspired filters that are offered in AI CAM can be confusing and time-consuming. To top it off, LG’s app is also slow switching between the wide camera and the main camera, and the app itself isn’t as intuitively designed as rivals, with core features like Pro mode and HDR hidden behind unnecessary layers of menus. LG has a lot of great camera features here, but I think they need beefier camera hardware to come into their own. I’d like to see what Super Bright Mode could do with a bigger sensor. And I’d love to be able to use the wide-angle camera without being disappointed when I take a low-light shot with the main shooter. I’ve enjoyed using the G7 and I’m glad LG didn’t just cancel it, as was rumored back in January. But personally, I’m willing to wait and see what LG’s cooking up for the fall. Maybe the V40 will excite me in ways that the G7 just doesn’t quite manage. But if you value great audio and a fun wide-angle camera, you could do a lot worse than the LG G7. 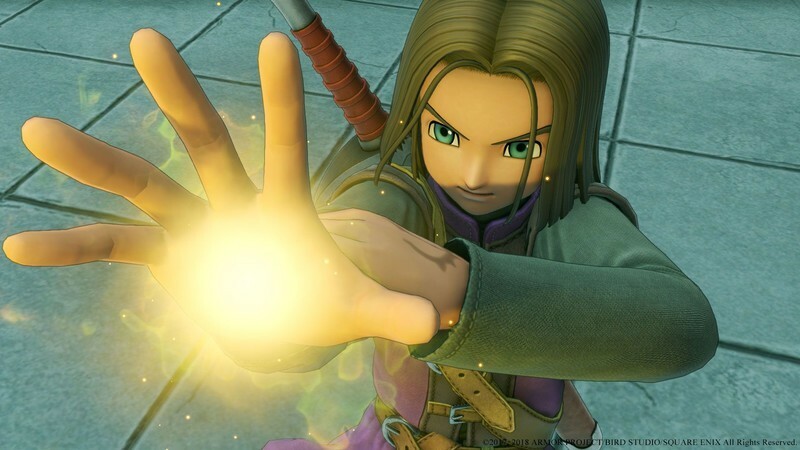 PlayStation and JRPGs are synonymous, and Dragon Quest 11 is the ultimate one. Square Enix’s announcement of Dragon Quest 11 delighted many-a JRPG fan. 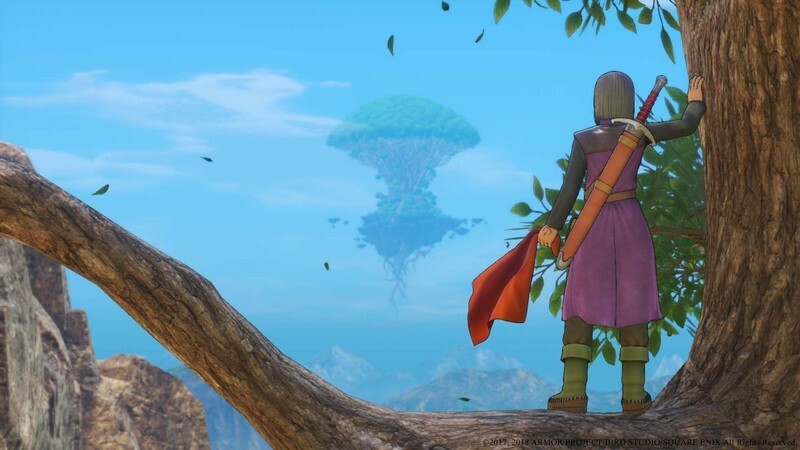 The game’s western debut marks the first time in over a decade that we’ve seen a Dragon Quest title made for a major console. With that comes a whole new opportunity to get fans of the series back into the game, as well as an original story for newcomers to enjoy. 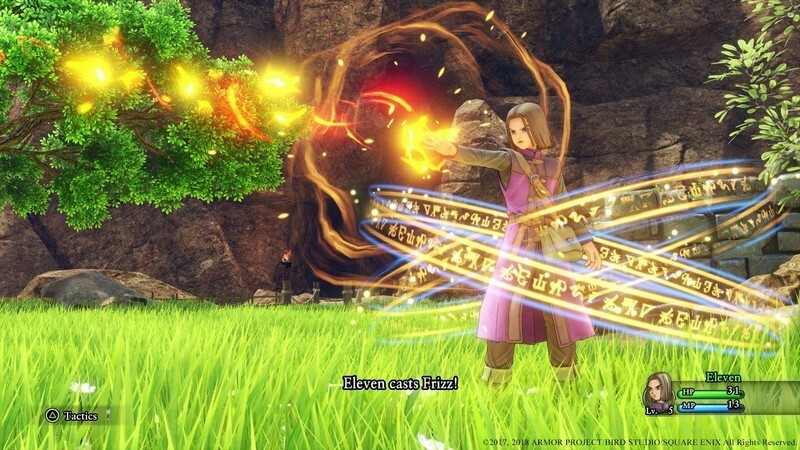 If you haven’t already imported Dragon Quest 11, this is one awesome game to keep your eye on. Here’s everything you need to know about it. What is Dragon Quest 11? If ever you needed an example of a Japanese RPG, Dragon Quest is perhaps the purest. It’s a high-fantasy game that features exploration, an overwhelmingly charming cast, character progression, and – you guessed it – turn-based combat. 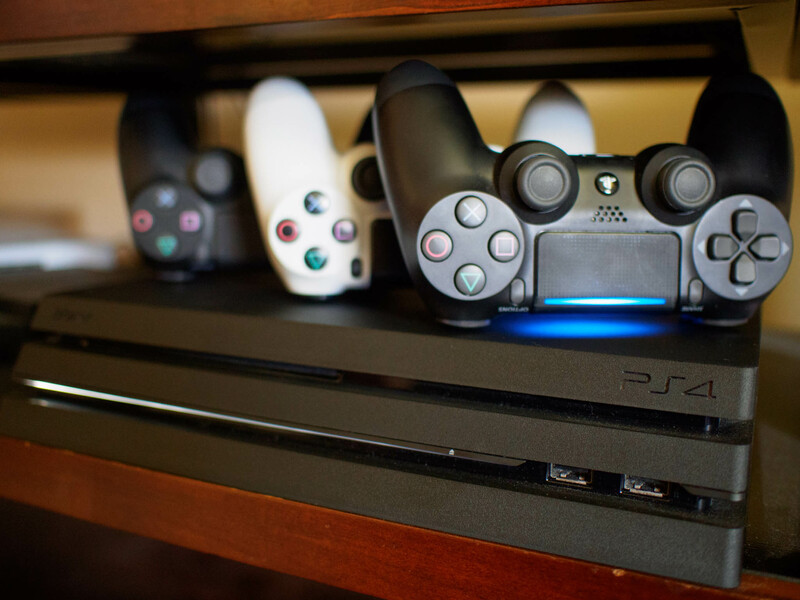 It’s a style of game that’s become increasingly rare as the industry moves toward more action-oriented gameplay systems to keep players’ adrenaline rushing. Square Enix has remained committed to keeping this beloved genre alive. 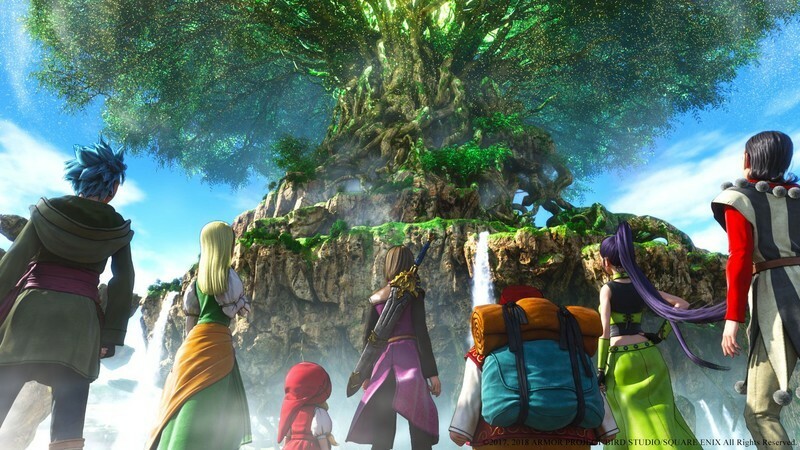 Dragon Quest 11 will be no different in that regard. This launch is particularly exciting because it’ll be the first Dragon Quest game to launch on major gaming platforms in more than a decade. Yeah, there were the handheld titles, but those tiny screens just don’t do the beauty of the game justice. 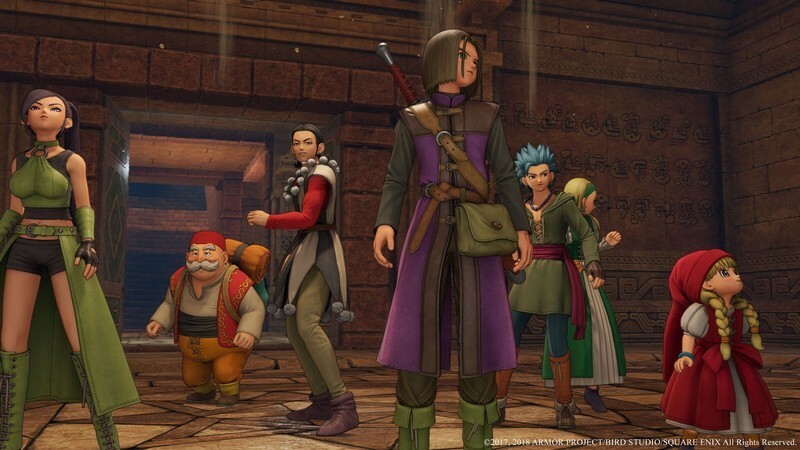 Available in Japan as far back as July 2017, Dragon Quest 11 is set to make its western debut where it will get something that not even the Japanese crowd will: fully voiced cutscenes. 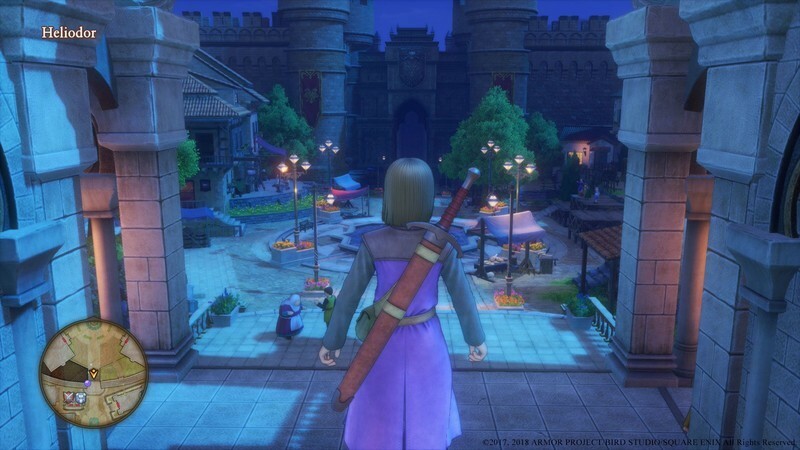 Dragon Quest 11 takes place in the fantasy world of Lotozetasia. It’s beautiful realm that’s not quite open world, but certainly is chock full of expansive regions to explore. The region you start off in is Cobblestone. That figures to be the homeplace of the main character, who pretty much goes unnamed, but is commonly referred to as a Luminary. Luminaries are basically bringers of light and harness great power. The character is the descendent of a legendary hero, and he doesn’t talk – go figure. Thus, it’s up to you to imagine the personality and traits of your character, a bit of a lost art in gaming. The story begins with your coming-of-age trial, which is to climb God’s Rock and visit the spirits of the earth. The trial mostly serves as a tutorial and an introduction to the gameplay systems, but you get into the thick of things soon after. Your first stop after that is Heliodor. It’s here where King Carnelian places you in jail for simply being a luminary. That’s because he believes Luminaries to be people who collude with dark forces (because light casts shadow when it shines on things, maybe). The antagonist seems totally unreasonable, but it’s up to you to escape and fight against the darkness to prove you’re a good guy. All in all, you’re looking at about 60 hours to get the most out of Dragon Quest 11. Much of that time will be spent talking to party members and villagers to learn about your past, as well as their own. Dragon Quest has become known for its breathtaking art style. The series has favored a cel-shaded approach over the years. Dragon Quest 11 takes that up to, well, 11. 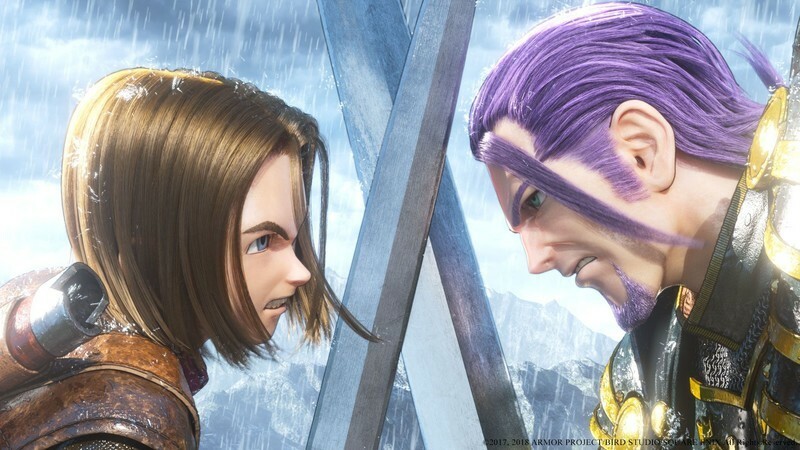 Leading artist Akira Toriyama is responsible for the look, and while we don’t know whether he had a direct hand in this particular release, we know Square Enix at least looked to imitate it as closely as possible. Traits include broad strokes of vibrant color and an anime-like approach to both character and world design. As we mentioned before, Dragon Quest 11 is as pure a JRPG you can find. That means there’s turn-based combat, and combat typically revolves around a system of strengths and weaknesses, meaning enemies will be weaker or stronger against specific attacks. That’s where the party system comes in. You can have a whole gang of companions with you, each serving a specific purpose in your group. One can be a healer, while another can do the bulk of the fire damage you need, and so on and so forth. Each of these heroes has a unique upgrade tree, and they can either be controlled by the player or left to make their own battle decisions. Some of your characters can even combine attacks to make for a powerful combo, so long as they’re both in the “Zone,” a new mechanic that buffs your attributes and abilities. You’ll be fighting the usual array of Dragon quest enemies, including skeletons, dragons, and even those cute little slimes that you often hate to kill. You make your characters stronger by way of weapons, armor, and items. These things can be found on enemies and given as quest rewards. You can also buy them from vendors or craft them at campfires. 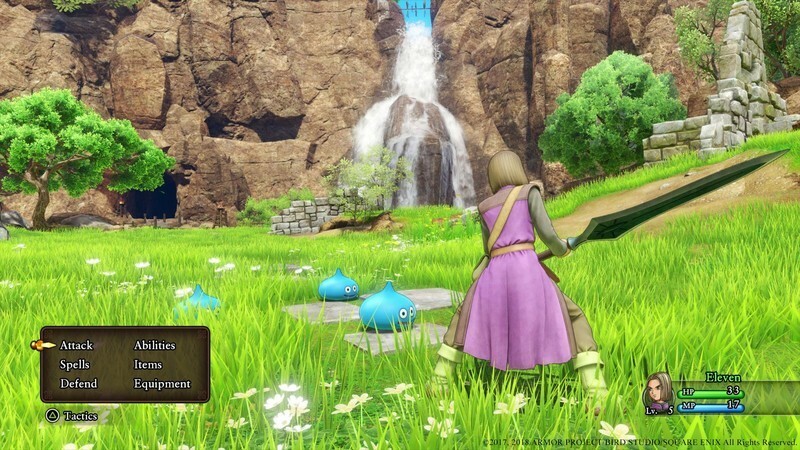 In Dragon Quest 11, crafting will be less of a menu-diving affair and one with a tad more substance, as you’ll have to go through relatively easy mini games to make it a successful affair. As far as traveling is concerned, you primarily move around on your horse, which can be called on at various outposts if you don’t want to slog through the expansive regions in the game. You still encounter enemies while on horseback, and you can even pick up items. The horse also makes it possible to run away from an enemy if you don’t want to deal with fighting it. Square Enix saw fit to add a dash button for when your character is on fit. He moves painfully slow otherwise, so it’s a nice tool for making your way through towns when you need to talk to some people or do some general housekeeping. Another keen addition is the ability to climb up on roofs and walk on tightropes, giving you another perspective to take in the breathtaking scenery. There are a few different pre-order options available if you’re excited to get your hands on Dragon Quest 11. Standard edition pre-orders get a lanyard when bought through Square Enix, or a PS4 theme when bought digitally on the PlayStation 4. If you’re early enough on the pre-order train, you’ll also be in for the Edition of Light digital content, which includes experience skill seeds and replenishment items for mana and health. 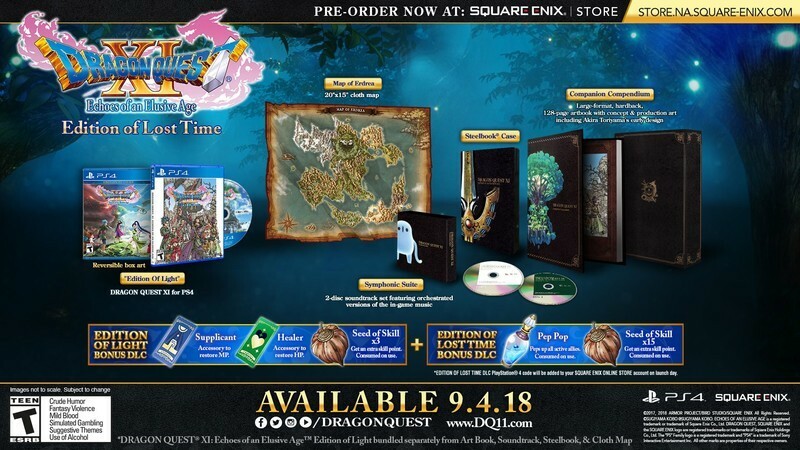 Opt for the $150 “Edition of Lost Time” copy and you’ll be landing yourself all the Edition of Light content, plus a 128-page hardback book featuring information and artwork, a two-disc original soundtrack, a cloth map, more experience seeds, and an in-game pep pop potion. 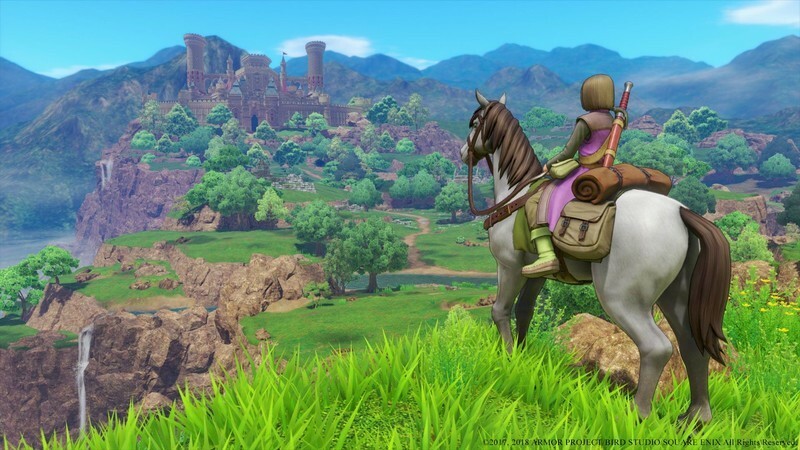 Dragon Quest 11 launches in western markets on September 4th, 2018 for PlayStation 4 and PC. Those feeling particularly martyrous can import the Japanese copy to play on any region-free PlayStation 4 console right now. Just note that this version only includes Japanese for its language track. Big changes to Sling TV: If you’re a fan of Sling TV, get ready for something new. New free offerings. New channels. And a new higher price on its most basic plan. The World Cup is still streaming: There are only 16 teams remaining, and two weeks left to play. We’ve got updated schedules and streaming info. Wimbledon is upon us: Tennis fans will be able to watch every damn match. Impressive. So, about that Westworld Season 2 finale …: Know what? It was good. It was really good. Don’t @ me. If you want to say “Alexa!” and access some of Amazon’s digital assistant intelligence, you’ll now be able to do it on new PCs. Acer’s Spin 5 slots in at the midrange, but it brings that extra special something to the party – it’s the first laptop with Amazon Alexa enabled out of the box. Our review unit was equipped with an 8th-generation quad-core Intel Core i7-8550U CPU, 8GB of RAM, a 256GB SATA solid-state drive (SSD), and a 13.3-inch Full HD (1,920 x 1,080 or 166 PPI) display. That’s an increasingly common configuration lately, and the Spin 5 brings it in at a reasonable $900. You can save $100 if you’re willing to settle for a Core i5-8250U and slightly lower performance. These are pedestrian components and pricing, but Alexa support places the Spin 5 – at least for the short term — in a unique position. Is that enough to give the Spin 5 a leg up on its competition? We can’t really knock the Spin 5’s aesthetic design. It sports the common dark gray color scheme, a sort of metallic hatch effect on the lid, and chrome accents along the keyboard deck and touchpad inset. Overall, it’s a design that we like, both because of and in spite of the fact that it doesn’t stand out in a crowded field – not everyone wants their notebook to be a fashion statement. Lenovo’s Yoga 730 is similarly priced and it, too, implements the same safe design, but we wouldn’t fault you if you jumped up in price to something like the HP Spectre x360 13 with a bolder style. One area where the Spin 5 stands out, and not in a good way, is in its relatively massive bezels. The Yoga 730’s bezels are so much smaller, they make the Spin 5’s look comically large in comparison. That, in turn, makes the Spin 5 larger than it needs to be, as well as heavier at 3.31 pounds (compared to the Yoga 730’s much more svelte 2.47 pounds). The Spin 5 manages to be reasonably thin at 0.63 inches, compared to the Yoga 730’s 0.62 inches, but the Spectre x360 13 beats them both at 0.53 inches thin. The Spin 5 is solidly built, with minimal flex in the lid and keyboard deck. Fortunately, the Spin 5 is solidly built, with minimal flex in the lid and keyboard deck. It’s easily the Yoga 720’s equal in this regard, and it beats out the thinner Spectre x360 13 that demonstrated a somewhat bendy display. We’re glad to see lower-priced machines bringing such robust build quality. The hinge is smooth and holds the display in place through the 2-in-1s laptop, display, tent, and tablet modes. Another strength is all the connectivity that Acer packed into the Spin 5. You’ll find a USB-C 3.1 port with data, power, and display support, two USB-A 3.0 ports, and one USB-A 2.0 port for solid legacy support. 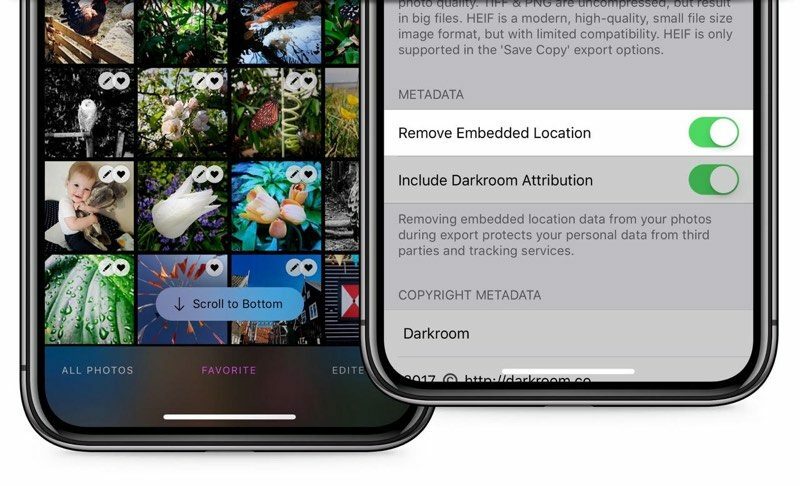 Then, there’s an Ethernet port – an unusual addition in this form factor — for easy access to gigabit ethernet, a full-size HDMI port, and an SD card reader. Power is provided by a proprietary charger, and you’ll find the usual 2X2 MU-MIMO 802.11AC Wi-Fi and Bluetooth 4.1 radios. That’s better than the Yoga 730, with the unfortunate exception that Acer omitted Thunderbolt 3 support and so external GPU enclosures are out of the question. The Spin 5 equips the usual backlit island keyboard with black keys and white lettering, and while key travel is slightly shallow, Acer used a mechanism that’s responsive and provides a bouncy bottoming action. We found it to be a more comfortable keyboard for long typing sessions than the Yoga 730’s keyboard, which felt shallower and more abrupt, but it didn’t quite hold up to the Spectre x360 13’s excellent version. The touchpad was also very good and only slightly off-center, with just enough size and full Microsoft Precision touchpad support. Windows 10 gestures were precise and reliable, and the button had a nice click without being too loud. The touchscreen display did its job, responding to swipes and taps without hesitation. The Spin 5 supports a digital pen, but it’s a $50 option that wasn’t included with our review unit and so we couldn’t test the 2-in-1s inking performance. More and more 2-in-1s are including the stylus, and so this is an extra expense we’d rather avoid. A responsive fingerprint reader provides Windows 10 Hello password-less login support, but it’s located inconveniently in the upper left corner of the touchpad. It’s great for lefties, but if you’re right-handed, then you’ll find yourself swiping a few times to get accustomed to the location. The Spin 5’s display was dimmer than we like, and contrast below average. Finally, as we mentioned earlier, Acer is the first company to ship a laptop with Amazon’s Alexa ready to go. Lenovo will implement Alexa support on a few of its laptops soon, but we were able to give it a try on the Spin 5 right away. Simply put, Alexa works just as you would expect: (Almost) like an Amazon Echo device built into a notebook format. We were able to ask the usual questions from across a room, thanks to four far-field microphones and Intel’s Smart Sound digital signal processor (DSP). You can ask for weather and traffic reports, control Amazon Music and iHeartRadio (no Spotify or Pandora support for now), and access Alexa skills. If we had smart home devices, then we could have controlled those as well. Alexa for PC doesn’t yet support everything that Echo devices support, but it’s a nice subset of Alexa capabilities. If you’re an Amazon user and rely on Alexa, you’ll find it convenient to access her capabilities on the Spin 5. If you don’t use digital assistants or have placed your bets on an Alexa competitor like Google Assistant or Siri, then Alexa support won’t impress. The Spin 5 comes equipped with a Full HD (1,920 x 1,080 or 166PPI) display, the new standard for midrange and premium notebooks. Acer doesn’t offer a 4K UHD display option, and so pixel-peepers will need to look elsewhere. According to our colorimeter, the Acer Spin 5 offers better-than-average color gamut support, beating out the Yoga 730 and Spectre x360 13, and its color accuracy was also very good at 1.48 (where less than one is considered excellent). Unfortunately, the brightness was a bit low at 279 nits, where we like to see 300 nits or more, and contrast was average at 750:1 – although that’s better than the HP and Lenovo, many other recent notebooks offer higher contrast. In subjective use, the Spin 5’s display was pleasant, with nice whites and colors that pop relative to other notebooks without professional-level displays. Gamma was perfect at 2.2, meaning that images and video were spot-on in terms of brightness, and watching Netflix was more than good enough. The audio was a mixed bag. Volume was excellent with surprisingly good stereo separation, but unfortunately, there was some distortion when at full blast. As usual with thin and light notebooks, bass was lacking, and treble was a little tinny. Sound quality is fine for the occasional YouTube video, but you’ll want to pull out your headphones for watching movies or listening to music. We feel like a broken record lately, talking about how Intel’s 8th-generation Core processors provide great productivity performance while maintaining impressive efficiency. Heading into our Spin 5 review, we fully anticipated the same old story. We weren’t disappointed. The Spin 5 performed right in line with the competition, scoring better on the Geekbench 4 single-core test than the Yoga 730 and slightly less quick on the multi-core test. Overall synthetic benchmark performance was in line with our comparison group. The results were similar when we compared the Spin 5’s ability to churn through a video encoding task using Handbrake. It managed to process a 420MB trailer in close to four and three-quarters minutes, which is competitive with our comparison group. Only notebooks equipped with full-power Intel quad-core CPUs are meaningfully faster. The Spin 5 should last a full workday if you’re running the usual productivity tasks. Acer wasn’t quite so generous with its SSD choice, however, equipping the Spin 5 with a slower SATA SSD compared to the PCIe SSD you’ll find in machines like the Yoga 730. That made it significantly slower in reading and writing information, although still faster than old-school spinning hard disk drives (HDDs) and plenty fast for the 2-in-1s intended purposes. These test results culminated in a subjective experience that was speedy enough in real-life usage. We noticed no slowdowns no matter the task, although we were slightly disappointed with fan noise. It’s not that the fans were particularly loud, it’s that they ran too often, even when we were only browsing the web. The chassis never got too hot, but the fans were a bit annoying. You’ll have to look elsewhere for anything but casual gaming, as the Spin 5 is limited to Intel UHD 620 integrated graphics. If you want moderately better gaming performance, you’ll need to look for a 2-in-1 like the Asus ZenBook Flip 14, which includes a discrete Nvidia GeForce MX150 GPU. The Spin 5 scored pretty much as we predicted in the 3DMark synthetic benchmark, with results that matched up with other machines sporting integrated graphics. And real-life gaming results were the same as well, with the Spin 5 able to manage 54 frames per second (FPS) in Rocket League at 1080p with graphics turned down to Performance Mode. It dropped down to 26 FPS in High Quality mode, making the 2-in-1 best for older titles at lower graphics and less-demanding esports and casual Windows 10 games. The Spin 5 packs in 54 watt-hours of battery capacity, which at the high end for this class of machine. It’s more than the Yoga 730’s 48 watt-hours, for example, and so we were expecting at least slightly better longevity away from a plug. Our results were mixed. In our CPU-intensive Basemark web benchmark test, the Spin 5 managed to last just over three and a half hours before running down. That’s better than the Yoga 730, which hit just over three hours, but worse than the Spectre x360 13 that managed over four hours. On our web browsing test, though, the Spin 5 did much better, lasting for nine hours. That’s much longer than the Yoga 730’s roughly six hours and even beats the Spectre x360 13’s eight and three-quarters hours. In fact, the Spin 5 was surprisingly competitive with the class leader, Microsoft’s Surface Book 13. On the other hand, the Spin 5 managed nine and a half hours in our video loop test. That’s an okay score that beats the Yoga 730’s roughly eight hours, but it falls well behind the Spectre x360’s 14 hours. These are good – but not great – results for a midrange 2-in-1 today. They indicate that the Spin 5 should last a full workday if you’re running the usual productivity tasks. Push the CPU, though, and you’ll be reaching for the power supply sooner than you’d like. The Spin 5 is just svelte enough to be comfortable in a backpack. It’s heavy at 3.31 pounds (compared to the Yoga 730’s 2.47 pounds), and its large bezels make for a wider and deeper chassis than is common today for 13.3-inch notebooks. But it’s thin enough to carry comfortably at 0.62 inches, which is close to the Yoga 730’s 0.62 inches. Acer perfectly positioned the Spin 5 in the midrange convertible 2-in-1 niche. It’s attractively priced, well-built, and it provides solid performance and good battery life. Input options are very good, and it tosses Alexa support into the mix. Only a rather dim and slightly low-contrast display holds it back from being an excellent option in this price range. The most direct comparison to the Spin 7 is Lenovo’s Yoga 730, which costs $850 for a Core i5-8250U, 8GB of RAM, a 256GB PCIe SSD, and a Full HD 13.3-inch display. It’s also well-built, performs well, and is a bit cheaper — though the Spin 5 provides meaningfully better battery life. You could also jump up to the HP Spectre x360 13, another convertible 13.3-inch 2-in-1 that we’ve long included on our our list of favorites. You’ll find the Spectre to be a much more attractive machine that offers similar performance to go with a better keyboard but lesser battery life. You’ll also pay more for the sleeker design, at $1,120 for a Core i5-8250U, 8GB of RAM, and 256GB PCIe SSD. That price also includes an active pen, a $70 extra for the Yoga 730. The Spin 5 is well-built with an up-to-date processor and solid connectivity. Only the lack of Thunderbolt 3 and the industry-standard one-year warranty is likely to become an issue over time. No. The Spin 5 is a decent enough midrange convertible 2-in-1 option, but it’s held back by its dated bezels (and thus overly large chassis) and dim display. The ability to access Alexa is a nice addition, but it’s coming to other machines and doesn’t stand out as a vital feature. The Galaxy S8 and S8+ have already been around for over a year, but they’re still among the best phones you can buy. Here’s everything you need to know about the Samsung Galaxy S8 and Galaxy S8+. The two phones, which are only differentiated by their screen size and battery capacity, come in at 5.8-inches and 6.2-inches with extra-tall 18.5:9 aspect ratio displays. That battery difference is pretty subtle: 3500mAh for the Galaxy S8+ and 3000mAh for the standard Galaxy S8. You may note that the Galaxy S8+’s battery is actually 100mAh smaller than the Galaxy S7 edge of last year, while the Galaxy S8’s is the same size as the Galaxy S7 despite being a larger phone. Though the batteries haven’t increased in size, the hope is that the improved efficiency of the new 10 nm processor inside — that’ll be the Qualcomm Snapdragon 835 or the Samsung Exynos 8895, depending on the region — will provide some help. The processor is backed up by 4GB of RAM, an increase to 64GB of storage, and of course a microSD card slot. Waterproofing and wireless charging are still here as well, plus a new USB-C port on the bottom. The rear camera is unchanged in terms of its 12MP sensor and f/1.7 lens, but has improved processing thanks to new software and a new ISP (image signal processor). The overall design for the phones is identical on both sizes, and is still shimmering glass and metal much like the previous generation. It’s punctuated by the long edges of the displays curving subtly off the side, more so like the Galaxy Note 7 than the more dramatic Galaxy S7 edge — and to that point, there is no “edge” model here, as both phones sport the curves. The displays have an 18.5:9 aspect ratio with a QHD+ resolution, meaning they’re extra tall while staying relatively narrow. Samsung has also moved to on-screen buttons and reduced bezel size dramatically in order to fit as much screen into the body as possible. That necessitated the movement of the fingerprint sensor to the back of the phones, where it sits somewhat-awkwardly next to the camera lens. Iris scanning makes its return in a new-and-improved version from the Note 7 to try and pick up the slack. On the face of it, the spec hounds among us won’t be satisfied with the fact that Samsung has stuck with the same camera specs from the Galaxy S7 in the new Galaxy S8. Yes, that means we’re looking at a 12MP “Dual Pixel” camera with an f/1.7 lens — but remember that the software and ISP (image signal processor) have been improved since last year, and this was arguably the best camera of 2016. On the other side, Samsung has completely revamped the front-facing camera to an 8MP unit with autofocus — all the better for your selfies of all types. Since the Galaxy S8 has the same fundamentals as its predecessor, it’s still one of the fastest, most reliable cameras on any phone. […] Unlike some of the other substantive hardware improvements, the Galaxy S8’s rear camera is another solid effort, but not more. As Samsung often does, we got a good sneak peek at the Galaxy S8’s software experience in the form of the Android Nougat update for the Galaxy S7 and S7 edge. But there are some changes to make note of. What you’ll find on the Galaxy S8 is very similar in terms of its design, core apps and behaviors, but you’ll also find a new launcher layout, new icons, on-screen buttons and of course a bunch of new features. Not the least of which being Bixby, DeX, S Pen-styled note-taking features and more. After a rocky start, Android 8.0 Oreo rolled out the the Galaxy S8 in spring 2018. Standard Oreo features such as notification channels, Google’s auto-fill service and general speed improvements are all present. There are also Samsung-exclusive features such as Edge lighting and improvements to the always-on display. The experience overall should be familiar for current customers, with subtle but meaningful improvements. More: Samsung Galaxy S8 Oreo update: Top features + what’s new! 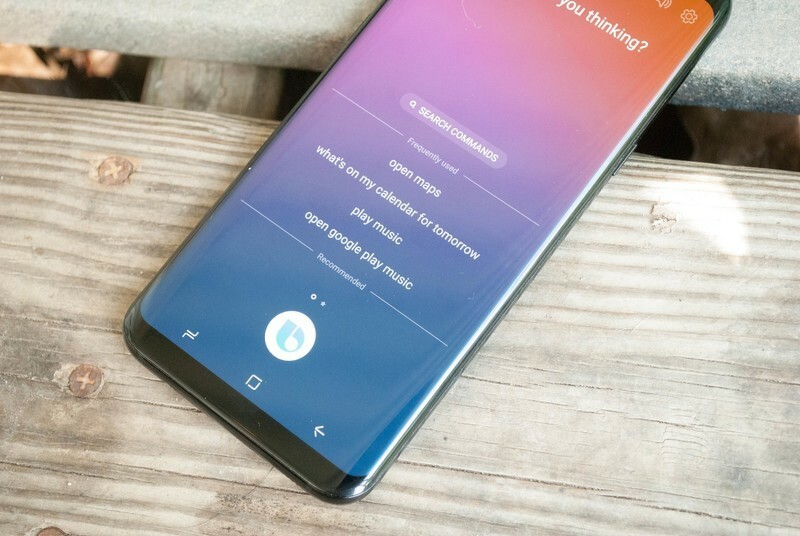 Far on the other end of interaction from Bixby is the new “DeX” desktop docking system for the Galaxy S8. 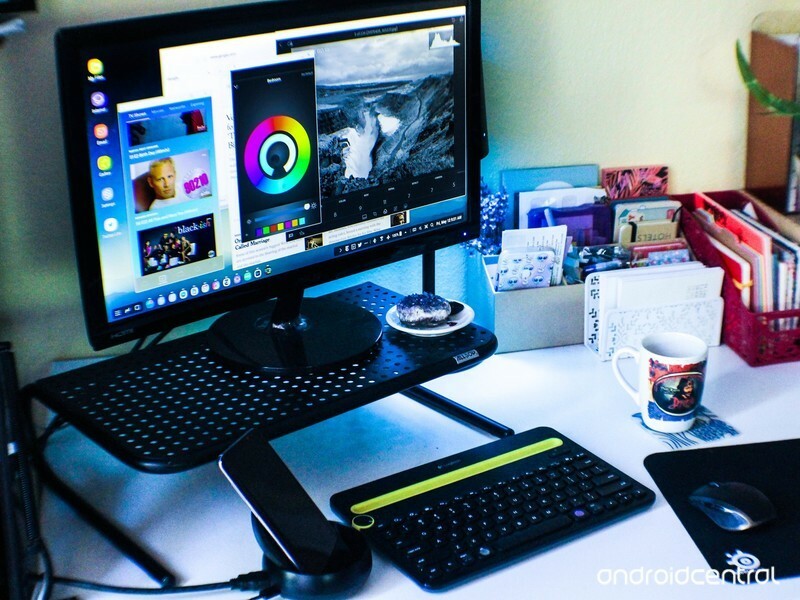 It’s a little piece of hardware no larger than a wireless charger that lets you plug in your Galaxy S8, attaching it to a keyboard, mouse and monitor to transform it into a desktop-like environment. The Galaxy S8’s interface scales up gracefully to fill the large monitor, and Samsung’s own apps have been designed to be resized and operated with a keyboard and mouse. Recently, Samsung announced DeX would be improving in a huge way: full-blown Linux. The upcoming “Linux on Galaxy” app will let developers use whatever build of Linux they’d like within DeX. It’s still a long way to go before replacing a full computer, but it’s a big step in the right direction. Plenty of people will just pick up the Galaxy S8 or S8+ because Samsung is the brand they know, but many of us will comparing it head to head with other leading devices. To help you make up your mind on which phone is right for you, we’ve compared the Galaxy S8 and Galaxy S8+ to the likes of the Pixel and Pixel XL, LG G6 and of course the iPhone 7 and 7 Plus. Now that the Galaxy S9 has been announced, we also have a comparison with that. 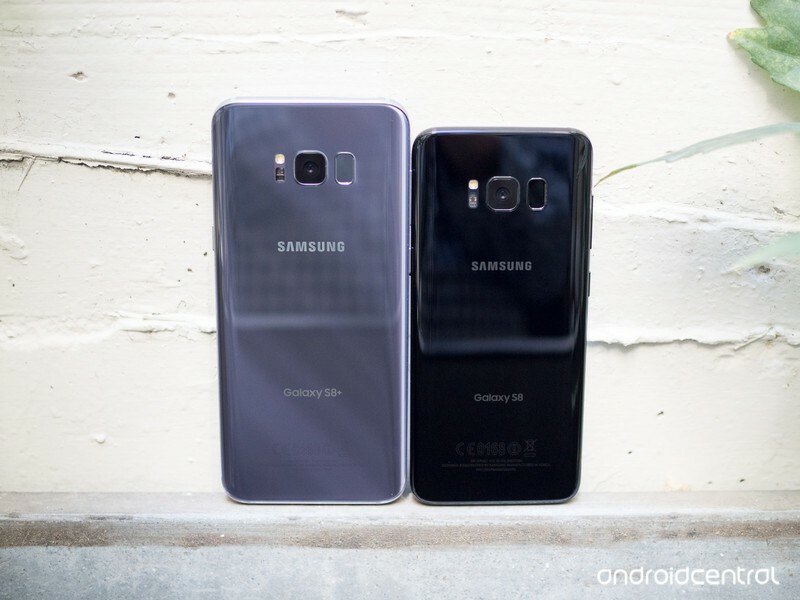 In the U.S., you’ll have your choice of the Galaxy S8 or Galaxy S8+, both in 64GB storage configuration, in one of three colors: black, silver, or orchid grey. You can also pick up a proper U.S. unlocked model from Samsung or Best Buy if you don’t want to bother with a carrier. Prices are in the range of $720-750 for the Galaxy S8, and $820-$850 for the Galaxy S8+, though you can find them for less on Amazon and other retailers. Finally, there’s a gorgeous burgundy red mode, but it’s only available in South Korea for now. Bixby was a bit of a mixed bag when it debuted on the Galaxy S8, but it’s grown up since then. Rather than compete with Google Assistant with cloud knowledge, Bixby is geared more towards local interactions on the phone itself. This ranges from mundane tasks like toggling Wi-Fi and Bluetooth on and off to setting up elaborate chain reactions rivaling Tasker. For those that don’t like Bixby, fear not: the Bixby button can now be completely disabled. The Galaxy S8 is a great device, but every smartphone has its share of problems. This is especially true if you’ve had your S8 since day one. If your phone is starting to feel a bit long in the tooth, try some of our troubleshooting tips! The Galaxy S9 has been out for a bit, but that doesn’t mean the S8 isn’t worth a look. 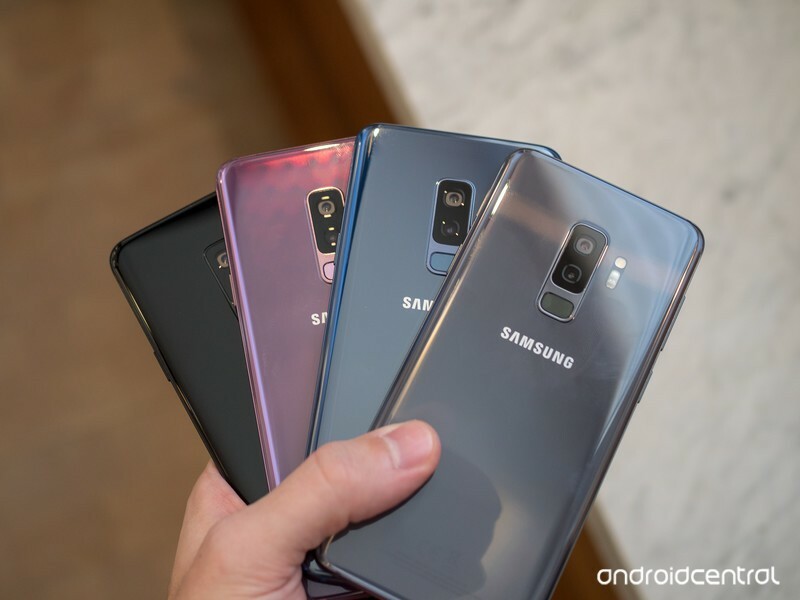 The S9 and S9+ are an iterative upgrade over the S8 and S8+, with a very similar design, new internals, more natural fingerprint sensor placement and slightly better cameras. The S8 has been heavily discounted since the S9 launched, so those new features may not be worth the extra cost.